For those of you who visit my website and are enjoying much warmer climates…here’s what it looks like in our part of Canada tonight. I guess Santa won’t have any trouble getting his sleigh around this year. 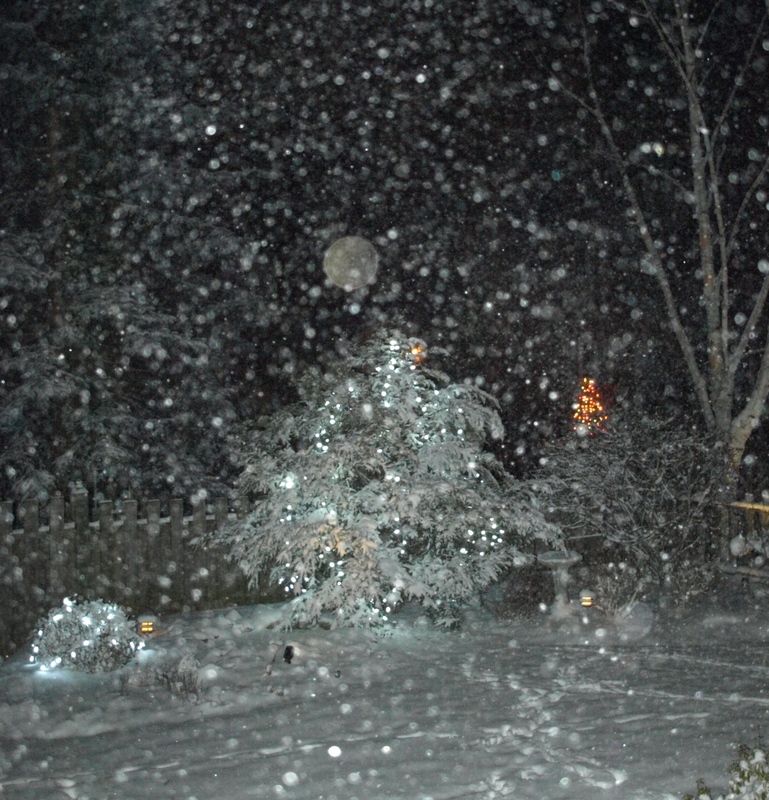 It looks beautiful and very festive,we are getting some snow too now and I love it,it always feels more Christmasy. The snow’s still about the same although it’s supposed to get a bit warmer for the weekend. Lynne, it does feel more like the Christmas we’re used to when there’s snow. Cheryl, I can’t ever remember a winter without a lot of snow!…although we occasionally get a green Christmas.